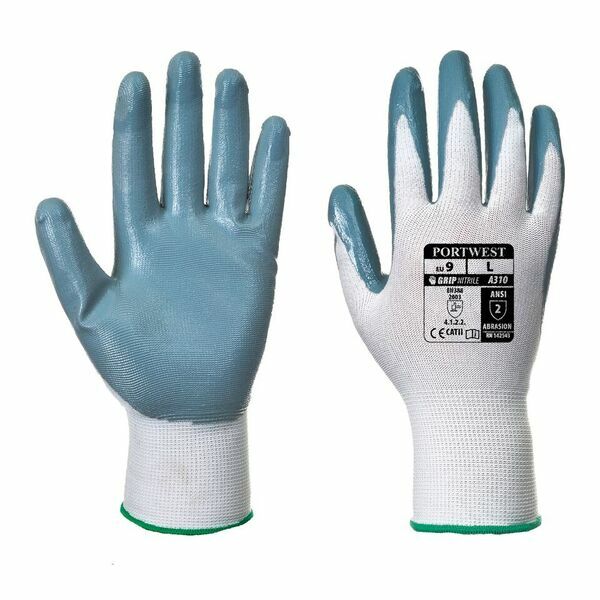 Palm dipped in nitrile to ensure outstanding mechanical protection, the Portwest Nitrile Grip Grey and White Gloves A310GRW (Case of 360 Pairs) are a top seller among general handling gloves. They offer a specially developed pylon liner, which offers the strength, breathability and stability of nylon at a more affordable price. The Portwest Nitrile Grip Grey and White Gloves A310GRW are popular gloves, and with this offer you can buy a case of 360 pairs at a discounted price. Ideal for businesses that require high levels of health and safety, this offer lets you save money on your essential safety wear. To purchase these gloves in a single pair, please see the standard listing.